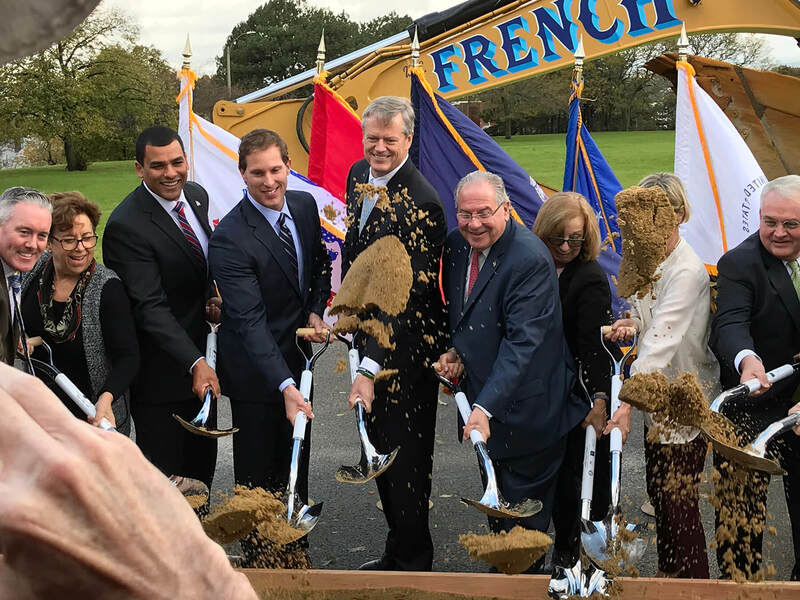 Recently, the Chelsea Soldiers’ Home team celebrated a significant milestone with an official groundbreaking ceremony for the future Community Living Center that will overlook Malone Park. Despite a rainy start to the day, the sun came out for the event and local and state officials were beaming with praise. Located atop Chelsea’s iconic Powder Horn Hill, the Community Living Center is a long-term care facility for the Commonwealth’s veterans. Designed to harness panoramic views of downtown Boston and the harbor, the transformative new facility will have 154 private rooms organized around shared community spaces and surrounded by generous courtyards. The nearby Quigley Building will be demolished when the new center opens, enabling development of the full seven-acre site into an accessible landscape and restoration of the adjacent Malone Park as a public amenity. 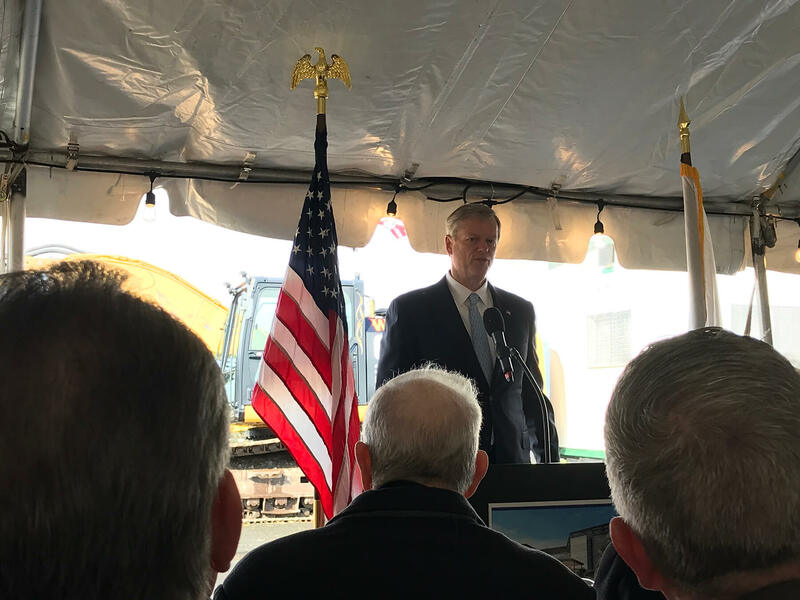 Governor Charlie Baker, Speaker of the House Robert DeLeo, Secretary Francisco Ureña and Superintendent Poppe delivered impassioned speeches regarding the dramatic increase in level of care that veterans will receive in this building and how it will be a symbol for other modern facilities for veteran care not only in Massachusetts, but throughout the United States. The site-enabling phase has commenced, and existing utilities will be cleared on the site to allow building construction next year.